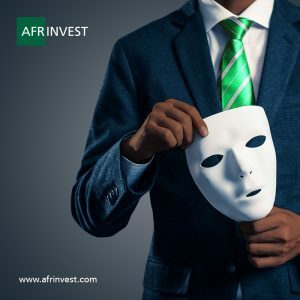 It has come to the notice of the Management of Afrinvest (West Africa) Limited that certain persons have been impersonating our brand and extorting money from unsuspecting members of the general public. 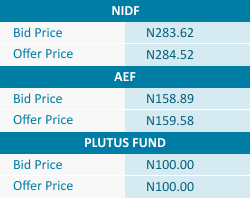 Particularly, we recently received complaints about the activities of one Demilade Emmanuel Kuku who holds himself out to be an agent of Afrinvest and has been obtaining money under false pretence from members of the public based on this misrepresentation. If you suspect any foul play, you can call us on 01 270 1680, send an email to info@afrinvest.com or visit us at 27 Gerrard Road, Ikoyi, Lagos. 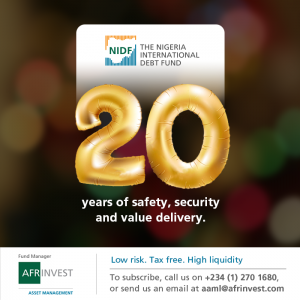 Please take further notice that Afrinvest – including all its subsidiaries – will not accept liability for any business transaction conducted with persons seeking to defraud the general public. 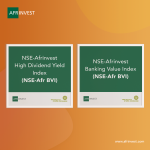 At Afrinvest, we pride ourselves on integrity and excellent service delivery. As such, we will continue to maintain the highest levels of safety and security across all contact points. We will also keep working with law enforcement agencies to apprehend all impersonators.